Should You Keep Taking Those Fish Oil And Vitamin D Pills? Research hasn't delivered a definitive answer on whether fish oil and Vitamin D supplements have health benefits, but it's clear that eating fish is beneficial. Nearly 19 million Americans take fish oil supplements and some 37 percent of us take vitamin D. Many may be motivated by research that has suggested these pills can protect heart health and prevent cancer. On Saturday, NPR published a story on long-awaited research on both supplements that called those claims into question. The story prompted a wave of questions from our readers and listeners. Many of you wrote in asking, essentially, should I stop taking these supplements? To get answers to some of your questions, we spoke with Dr. JoAnn Manson, chief of the Division of Preventive Medicine, Department of Medicine, at Brigham and Women's Hospital, who headed the VITAL trial. We also turned to Dr. Bess Dawson-Hughes, senior scientist and director of the Bone Metabolism Laboratory at the Jean Mayer USDA Human Nutrition Research Center on Aging at Tufts University. The findings of the VITAL study cast doubt on benefits of fish oil for cancer and cardiovascular disease. Should people just throw out their pills? JoAnn Manson: No. For those already taking supplements, our findings do not offer a clear reason to stop. If you want to consider starting, our recommendation is to talk with your health care provider, but this does not need to be done on an urgent basis. We do caution against taking very high doses, but at the level fish oil [was taken] in our study there were no significant adverse effects. In addition, while fish oil did not reduce the risk of stroke or other cardiovascular problems, it did reduce the risk of heart attack by 28 percent and that is a significant finding. 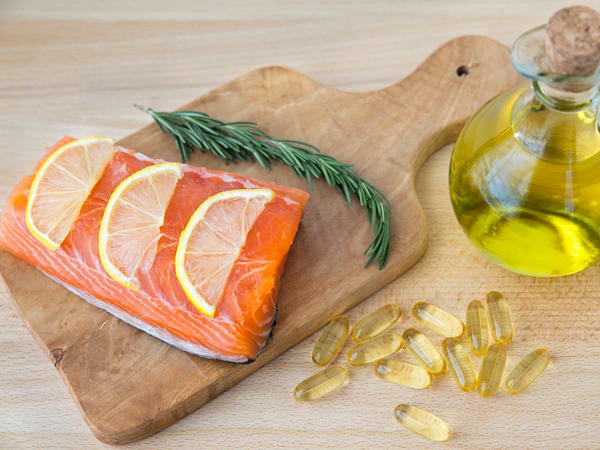 Previous research suggests fish oil may have greater benefits for heart health than for reducing stroke, because there are some mechanisms — such as reducing irregular heart rhythm — which would be more important for heart attack than for stroke. What about diet? Isn't that a better way to get omega-3 fatty acids? Manson: We encourage people to eat fish and get these omega-3s in the diet. There may be other benefits as well. For example, fish may replace red meat, saturated fat, processed foods and generally lead to a healthier diet. However, some people don't like fish, won't eat fish and so there might be a role for taking the supplement. In our study, those who had low fish consumption were more likely to benefit from fish oil supplements. Those who were already having two or more servings of fish per week did not appear to have clear benefit. But those eating less than 1 1/2 fish servings per week saw a 40 percent reduction in heart attack compared to placebo. What about for vitamin D supplements — is there any reason to take them? Bess Dawson-Hughes: In the VITAL study, participants entered the trial with adequate levels of vitamin D as measured in their blood. So the question there was, if you have enough vitamin D, will adding more add value? And they have answered that question quite clearly that for cancer and cardiovascular disease, the answer is no. I would conclude that if you already have adequate levels of vitamin D, adding more won't protect you against cardiovascular disease and cancer. But you can't decide yes or no on vitamin D supplements on the basis of these findings, because they didn't take into account the benefits of vitamin D together with calcium for bone health. Vitamin D has historically and traditionally been considered important for bone health. We know inadequate levels of vitamin D are associated with problems like less calcium absorption, less bone formation and, in extreme cases, more fractures. Should people who don't get a lot of sunlight or people who have darker skin be worried about their vitamin D levels? Dawson-Hughes: If you don't have adequate vitamin D levels, then you need to make sure you get what the Institute of Medicine recommends, which is 600-800 international units per day [for adults, depending on age]. Most people cannot get that in their diet because vitamin D is in very few foods, such as fatty fish and egg yolks. And, of course, in the wintertime you make very little vitamin D because there's less sunlight. For people at high risk of vitamin D deficiency, it's recommended they do have vitamin D levels measured and they take supplements to bring vitamin D levels up to what the guidelines recommend. Those at high risk include individuals who have darker skin, which reduces the ability of the body to synthesize vitamin D from ultraviolet rays from the sun; individuals who wear sunscreen consistently and thoroughly; individuals who wear clothing that covers much of their body; highly overweight people and those who are rarely outside, such as nursing home residents. These people should have their vitamin D levels tested to determine whether they should take supplements. Generally speaking, for someone with light skin in a temperate climate at midday, 10 minutes of direct exposure to the sun over 10 percent of your body — such as your arms and face — will give you what you need to make adequate levels of vitamin D.